Today lots of studios are being torn down to make way for offices. 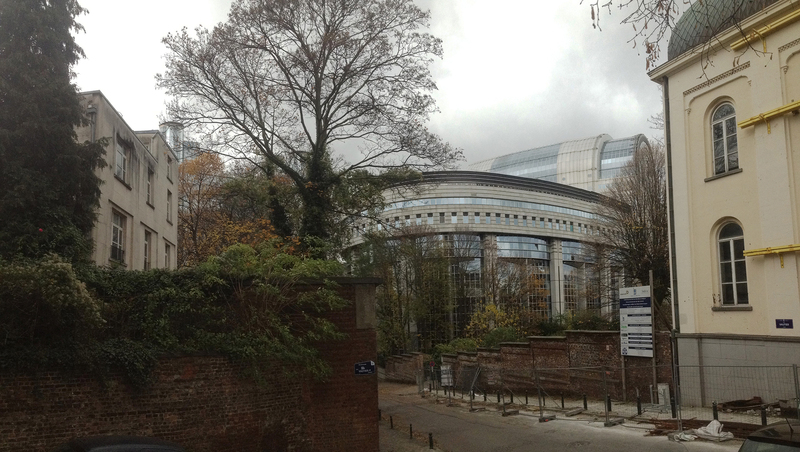 The Wiertz Museum and its listed park have become the last defence against the huge pressure exerted by the European Parliament on the whole neighbourhood around chaussée de Wavre and the Leopold Park. The house and park have been neglected by indolent local governments and now they have fallen under the lustful gaze of their insatiable neighbour. While the poor ‘Caprice des Dieux’ tries to get back some of its beauty, the house of the painter and its garden would become the playground of dignitaries and their guests. In our current age, the security measures that are happily applied to more European Institutions will have unacceptably negative consequences on the Wiertz Museum and on what has been preserved of a public space and urban diversity in this neighbourhood. With the grandiose return of facadism, recently acknowledged by the installation of the ‘House of European History’ in the old Eastman Institute (Leopold Park), can we also expect to see the construction of 3 additional floors on the house of the painter of which only the facades will have been preserved?